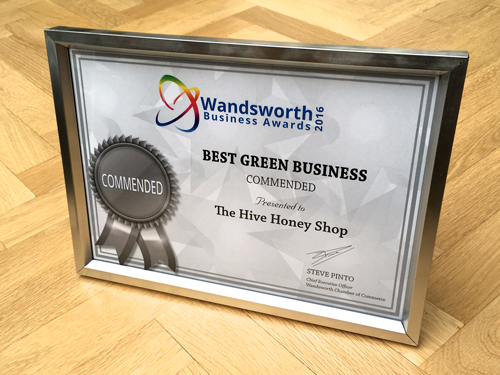 We were at the Wandsworth Business Awards 2016 last night having been nominated for three awards. They were, Best Customer Service, Best Green Business and Best independent Retailer. We won two out of the three! 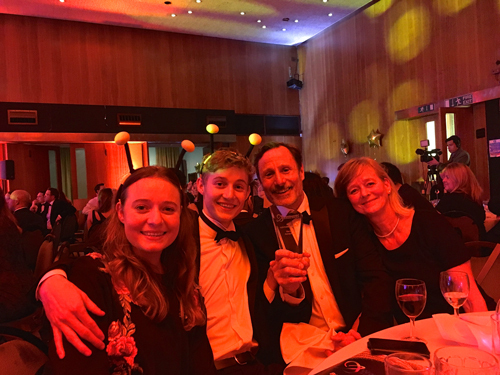 It was a glamorous black tie awards ceremony which made a change from us in our honey covered bee suits. It started with drinks and canapé reception, followed by dinner and the awards. Really well orginised and a pleasure to attend. The icing on the cake was being presented with the two awards. We were awarded the Best Green Business award due to our commitment in reducing energy and waste consumption. We are most proud of winning the Best Customer Service award. Everyone here tries so hard to make each customer feel special and welcome. So for our service to be acknowledged in this way is really special to us. Thanks again Wandsworth Chamber of Commerce for organising and hosting the awards. Everyone had a great time.